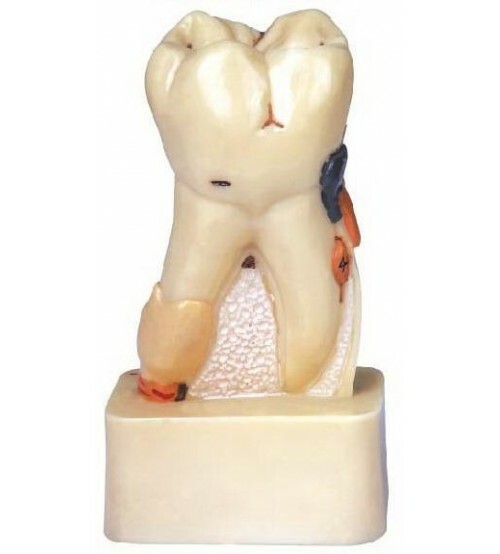 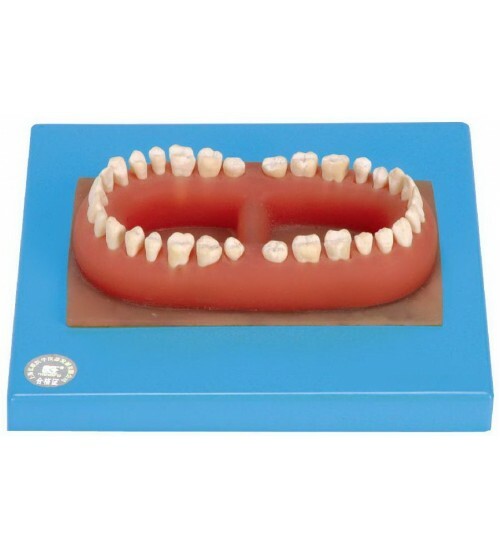 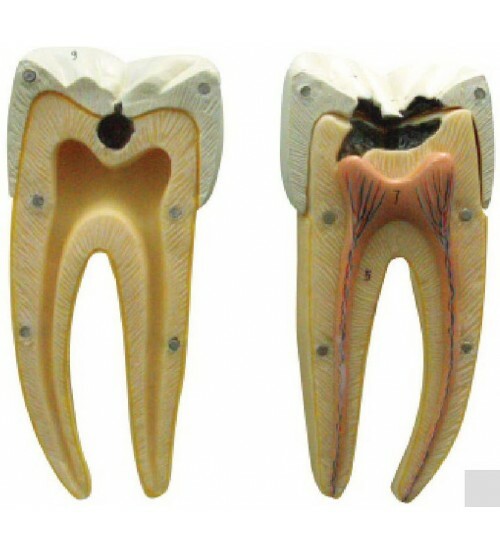 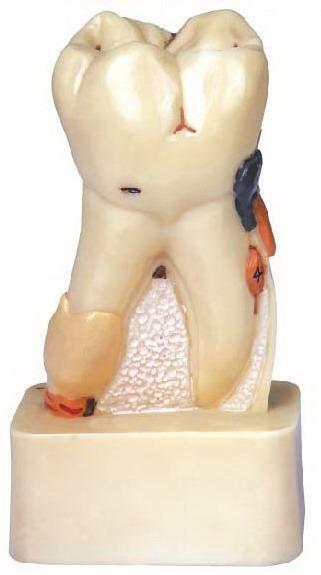 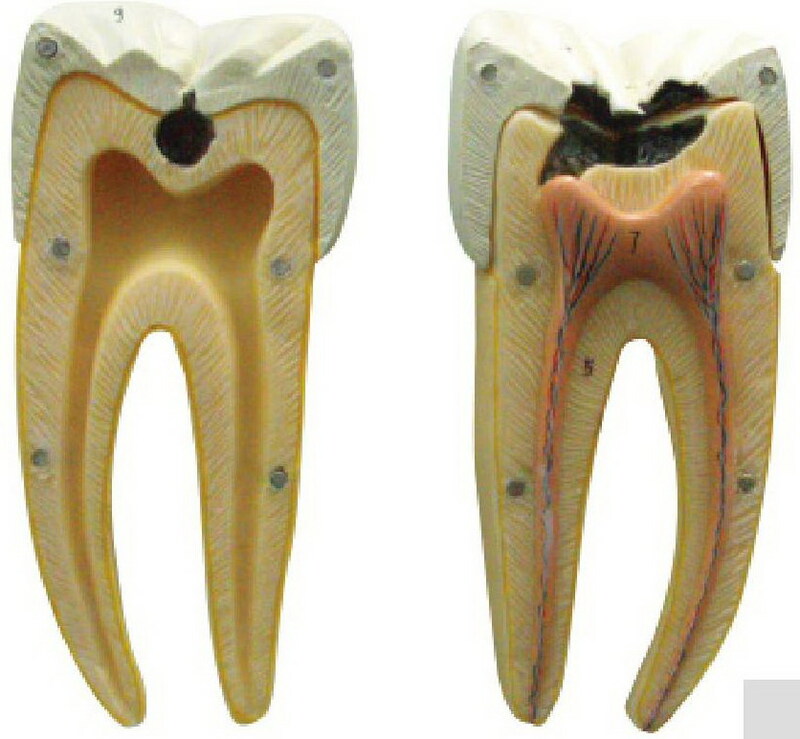 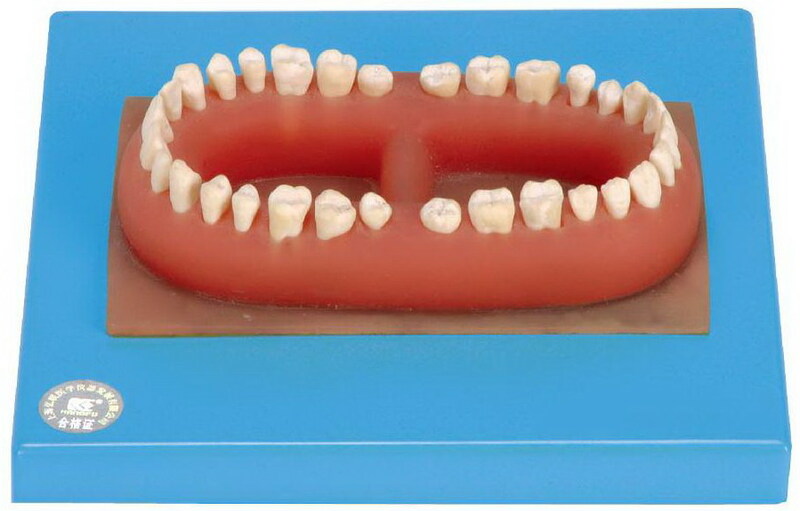 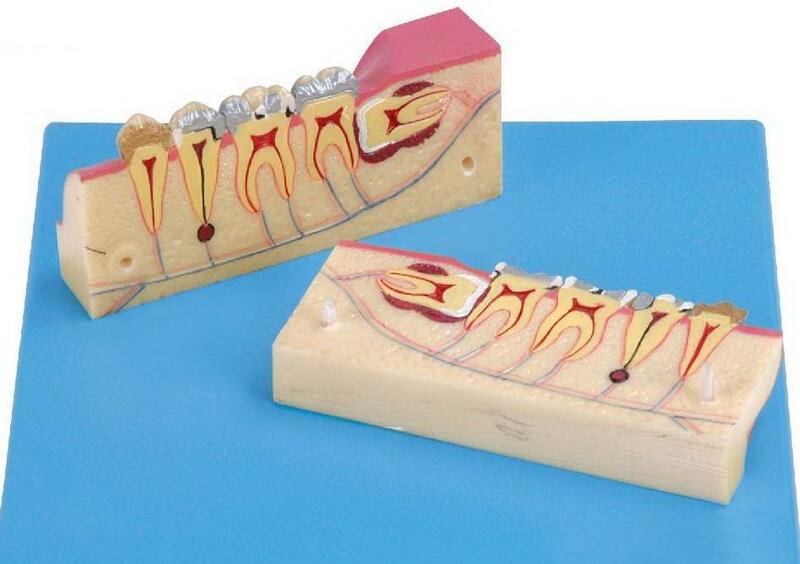 The model shows the development from temporary teeth to the germination of the permanent teeth, demonstrating the teeth at the ages of less than 6 months, 2 years, 5 to 7 years, 17 to 26 years. 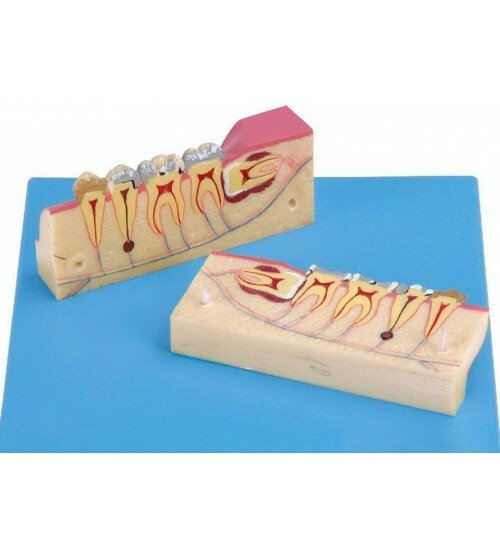 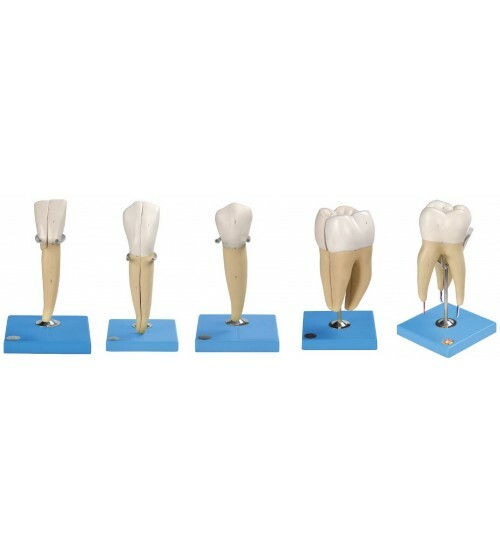 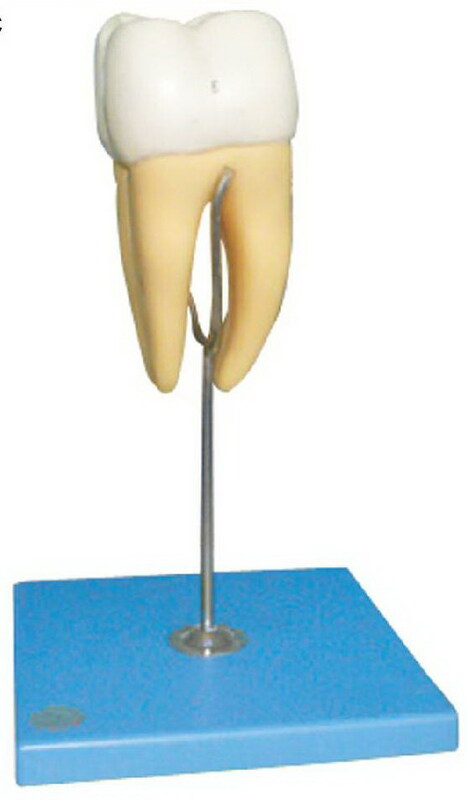 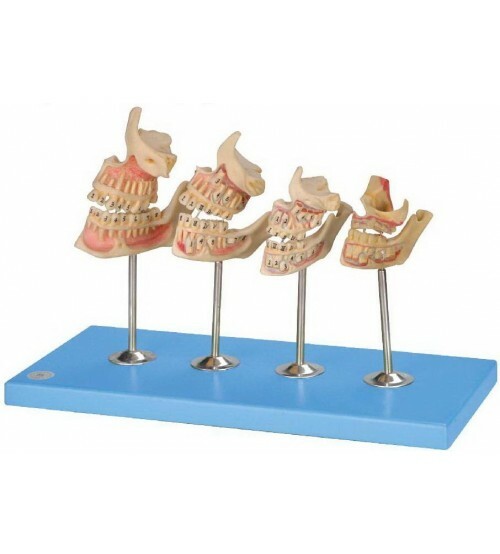 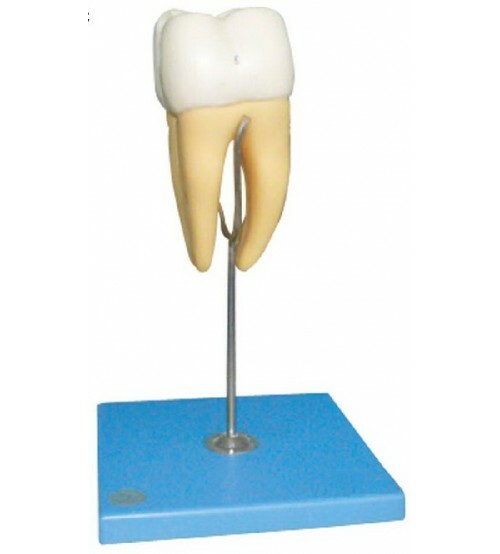 Each model shows the upper & lower jaws of right side. 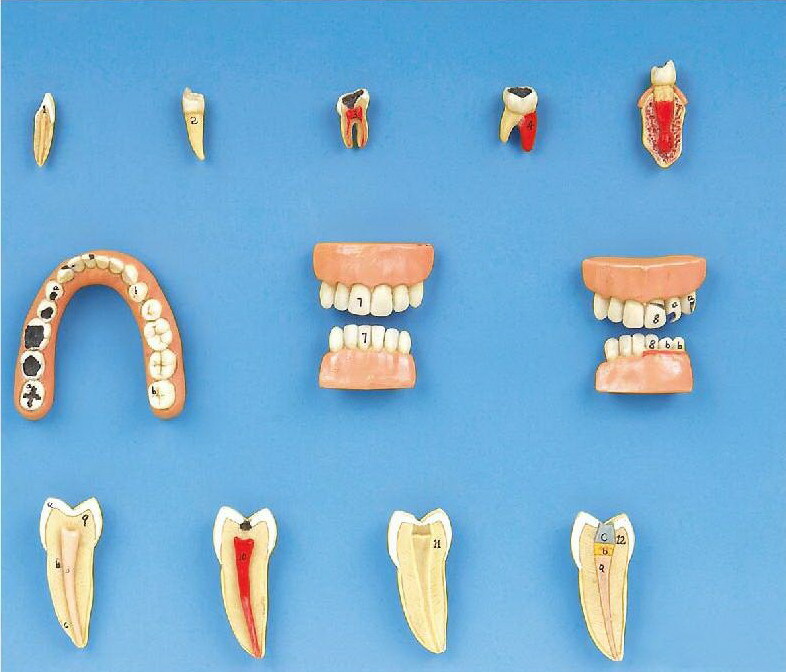 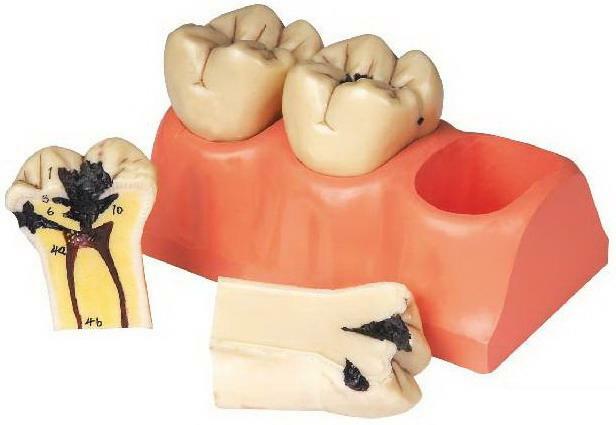 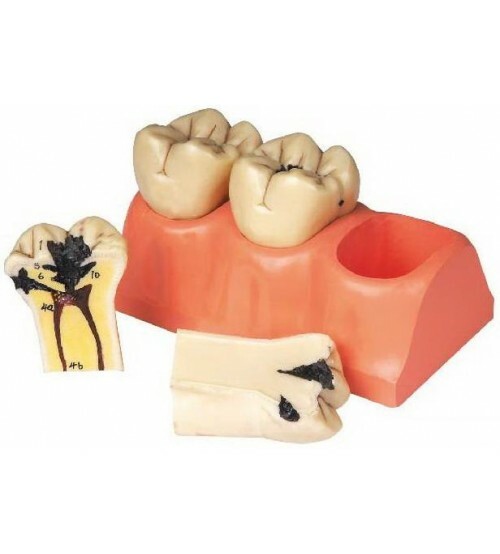 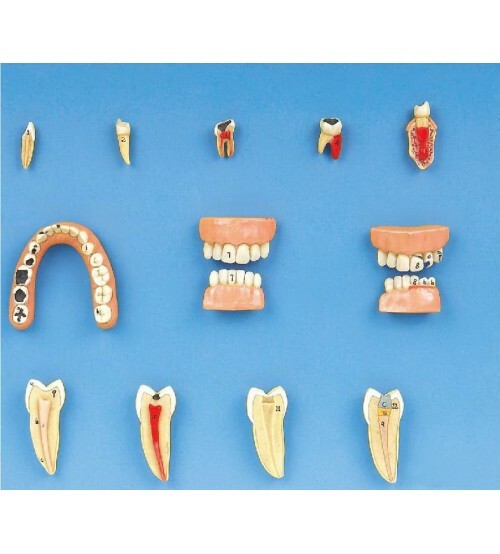 They demonstrate the procedures of the germination of temporary teeth, replacement of the teeth, the germination of the permanent teeth, as well as the development of the upper & lower jaws & maxillary sinus.